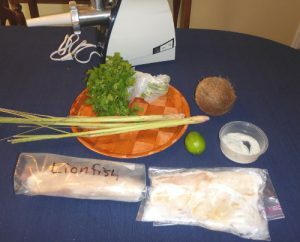 Looking for a unique way to prepare your lionfish? 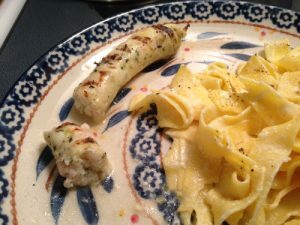 Our lionfish sausage recipe is a different and surprisingly delicious way to eat the invasive species. 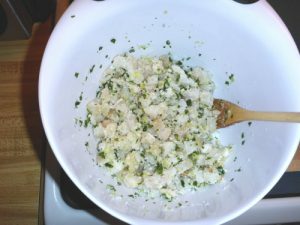 You will need to chop the lemongrass, cilantro, and lionfish into small pieces so that they mix well and can be squeezed into the sausage casings later. If you have a meat grinder you can mix by grinding everything. 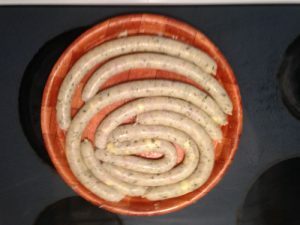 The grinders usually come with an attachment that makes stuffing the sausage casing easier. 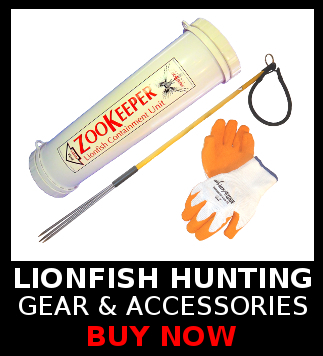 If you’ve got a meat grinder you can use the attachment which forces the lionfish ingredients into the casing for you, or you can stuff the casing by hand being careful not to rip the casing. It’s a messy job, but worth it with the finished product! You can also bake or pan fry your sausage. Don’t over cook or you will dry the sausage out. The first time we tried the recipe we did not use butter and it came out a little dry. 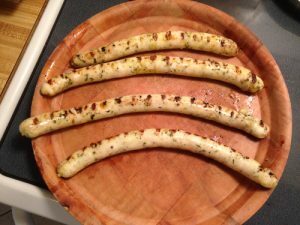 With the butter and grilled it is moist and delicious! Let us know what you think in the comments below, and send us a picture of your results if you try out any of our lionfish recipes or if you make any of the lionfish recipes from the lionfish cookbook that can be found here. This recipe sounds very good. If you didn’t want use the casings, could you add a beaten egg and some panko flakes to the Lionfish ingredients and make into patties or fish balls? Thanks for posting it. I’ll be making this after the hunt at the Pensacola lionfish festival. Yes, that sounds like a great adaptation of the recipe, sort of like fish cakes.